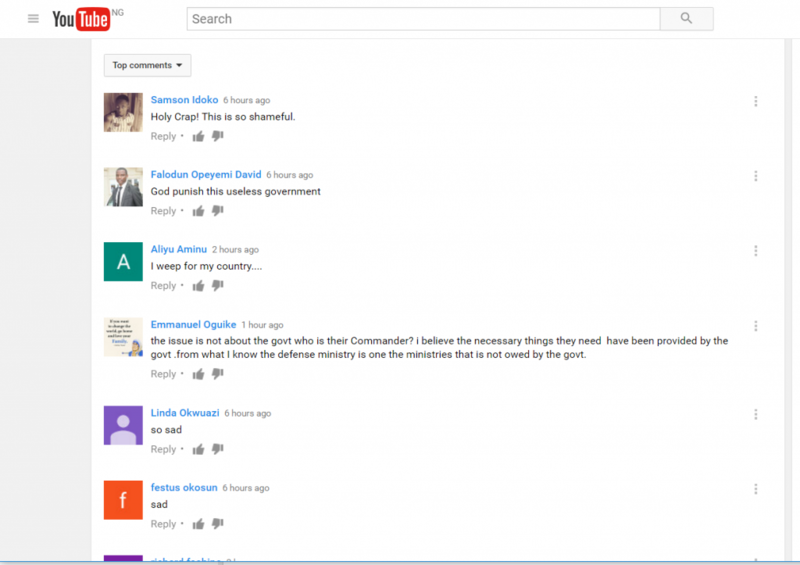 A video showing the plight of Nigerian soldiers fighting Boko Haram in the North East has gone viral on the Internet, sparking outrage. The undated video, which was uploaded on YouTube on Tuesday, showed several soldiers surrounding three of their colleagues who they alleged fainted due to lack of food and water. One of the soldiers explained that over 70 soldiers fainted due to lack of water, adding that they had spent up to three days at their location without water and food. The video led to outrage among those who viewed it with several of them describing the situation pathetic and sad. On Nairaland where the video was also posted, the sentiment was the same. However, it sparked a debate over whether soldiers were having it worse in the previous administration or under the current one. 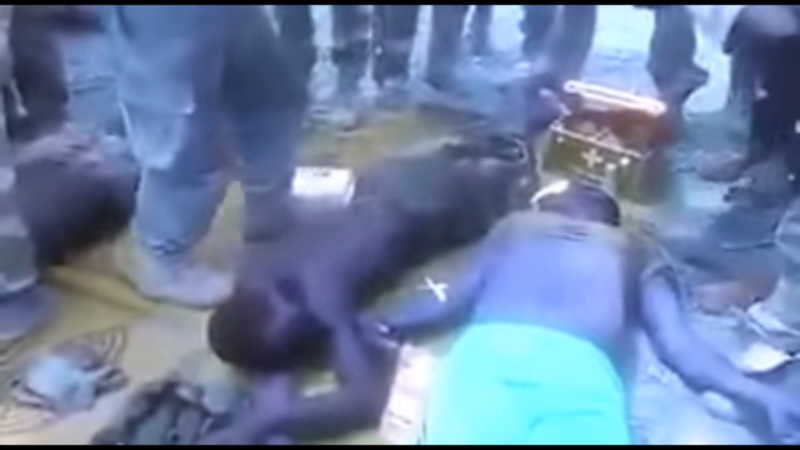 The video comes amid some claims that some soldiers fighting Boko Haram have been neglected. In October, an activist, Kayode Ogundamisi, had tried to raises awareness about the plight of soldiers in the North East by tweeting photos he said were sent to him by soldiers depicting the poor quality of food and inadequate water they are served. His tweets had resulted in the Nigerian Army blocking him on Twitter, a development criticised by many. It is uncommon for soldiers to protest in such a manner as the soldiers in Tuesday’s video. More frequently, soldiers have masked their identity for fear of the repercussions for their actions. In September 2014, 12 soldiers were sentenced to death after being found guilty of mutiny, which attracts a sentence of death by firing squad. The soldiers had in May of that year opened fire on a car conveying the General Officer Commanding Maimalari Barracks in Maiduguri at the time, Maj-Gen. Ahmed Mohammed, who they blamed for the killing of their colleagues by Boko Haram in an ambush. In the first quarter of 2015, 66 soldiers were sentenced to death by General court-martials for mutiny and other charges. The death sentences were later commuted to 10-year jail terms after a legal review of the cases ordered by the Chief of Army Staff, Lt. Gen. Tukur Buratai. Buratai had ordered the review after series of appeals and petitions from activists and several other persons and groups. Sergio Marchionne set to down as Ferrari President.